This entry was posted in Children, Families, Mitzvah Project ideas and tagged Jewish Family Services, MetroWest, Mitzvah, mitzvah project ideas, North NJ, teen volunteer, tzedakah, volunteer opportunities on October 28, 2016 by Cheryl. Have photos of your bar/bat mitzvah child working on their mitzvah project? 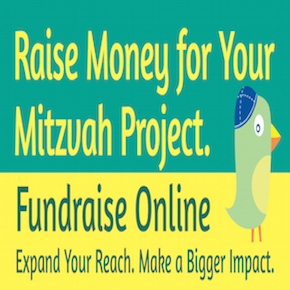 Share them with us by using the hashtag #mitzvahprojectpix on Twitter and Facebook. All you need to do is use the hashtag #mitzvahprojectpix and themitzvahbowl.com will retweet, share and post it too! We cannot wait to see all of the pictures of bar/bat mitzvah students making a difference in their communities and the world! This entry was posted in Uncategorized and tagged #mitzvahprojectpix, Bar Mitzvah, Bat Mitzvah, facebook, hashtag, Mitzvah, mitzvah project, twitter on December 4, 2014 by Cheryl. This entry was posted in Uncategorized and tagged difficult to part, dog makes aliyah, family will visit, Help Israeli blind community, Israel Guide Dog Center for the Blind, Mitzvah, raised puppy, using hebrew commands on September 21, 2014 by Cheryl. This entry was posted in Families, Food, Homeless, Shelter and tagged classroom4good, crisis, food project, help families and individuals, homelessness, kids helping kids, Mitzvah, Mitzvah Circle Foundation, serious illness on October 4, 2013 by Cheryl. The Tuna Brigade Rides Again! This entry was posted in Uncategorized and tagged Christmas day tuna brigade, collect kosher cans of tuna, collect tuna cans, helping feed the hungry, JRA Tuna Brigade, JRAid, Mitzvah on December 4, 2012 by Cheryl. Why Bother Teaching our Children to do Mitzvahs? This entry was posted in Uncategorized and tagged Bar Mitzvah, help the community, meaningful experience, mensch, Mitzvah, mitzvah project, mitzvot, passionate citizens, teaching children on July 23, 2012 by Cheryl. 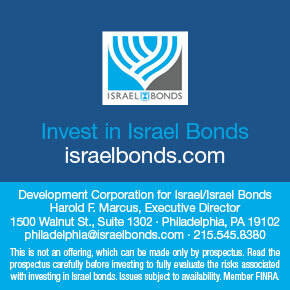 This entry was posted in Uncategorized and tagged Abramson Center, Bar Mitzvah, Bat Mitzvah, Good Deed, Mitzvah, mitzvah project, Project SHEMA, seniors and students, special bond on May 1, 2012 by admin. This entry was posted in Uncategorized and tagged Alex's Lemonade, Alex's Lemonade Stand Foundation, Bar Mitzvah, Bat Mitzvah, cause, fight childhood cancer, Good Deed, lemonade stand, Mitzvah, teen volunteer, tween volunteer on April 22, 2012 by admin. This entry was posted in Uncategorized and tagged awareness, Bar Mitzvah, Bat Mitzvah, create awareness, Dash, meaningful mitzvah project, Mitzvah, mitzvah project, Organ & tissue donation, organ donation on April 9, 2012 by admin. This entry was posted in Uncategorized and tagged Bar Mitzvah, Bat Mitzvah, cystic fibrosis, delaware valley, Good Deed, great strides, Mitzvah, mitzvah project, random act of kindness, teen, volunteer on April 1, 2012 by admin.